Morgan graduated from the University of Pittsburgh with Honors in Psychology and a background in biology and neuroscience. 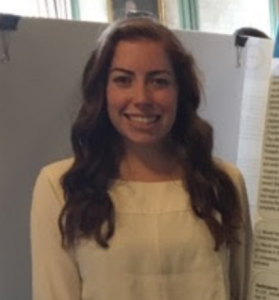 She completed an Honors Thesis that examined the difference between non-social stressors and social stressors in the relationship between depression and neural response to reward in adolescent girls. This idea came from her Junior year research project that examined the relationship between anhedonia, interpersonal stress, and neural response to reward. She was also involved in a lab that studied physiological response to a stress task in those who are prone to migraines versus those who are not. Her personal research interests include internalizing disorders in children and adolescents and how stress plays a role in social-emotional processing. In her free time, she likes to be active in various ways, such as hiking, running, or going to a workout class. She also enjoys baking and going out to eat at new restaurants. Currently, she is working on the Anhedonia Study, the LGB Anhedonia Study, and the Inflammation and Depression study. She loves working in this lab and hopes to continue research in graduate school studying clinical psychology. Melissa graduated with highest honors from the University of North Carolina- Chapel Hill in 2017 with a B.A. in Psychology and minor in Social and Economic Justice. 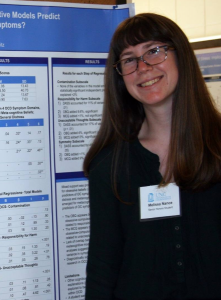 At UNC she completed her senior honors thesis on the relative contributions of cognitive and meta-cognitive beliefs for obsessive-compulsive symptoms. Melissa also was involved in research at UNC focused on the association between recovery from substance abuse and binge eating patterns. Primarily, Melissa’s research interests include emotional regulation strategies and factors that shape individual’s experiences with both positive and negative emotions, as well as related psychopathology. She plans to pursue a Ph.D. in Clinical Psychology, and likes to spend her free time cooking and traveling. In the ANDP lab, Melissa is a research associate working on the Mood and Motivation Study, Cytokines and Depression Study, and the LGB Youth Study.